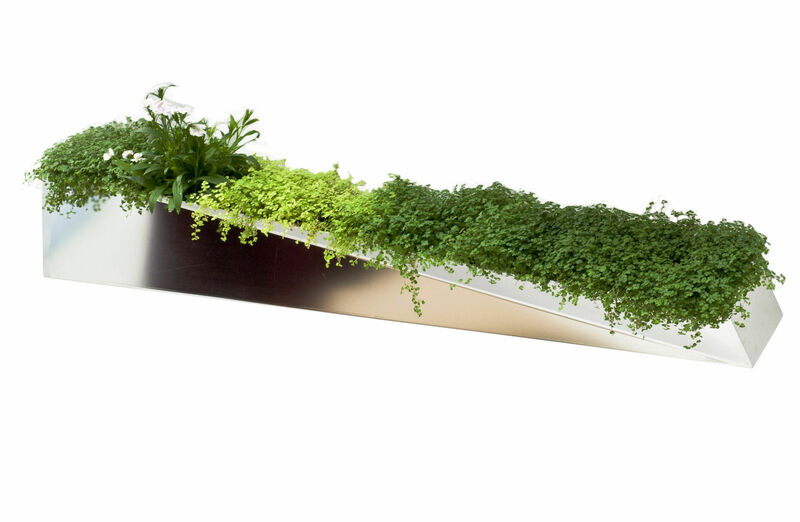 Contemporary and poetic creation allowing us to be always as close to nature as possible... 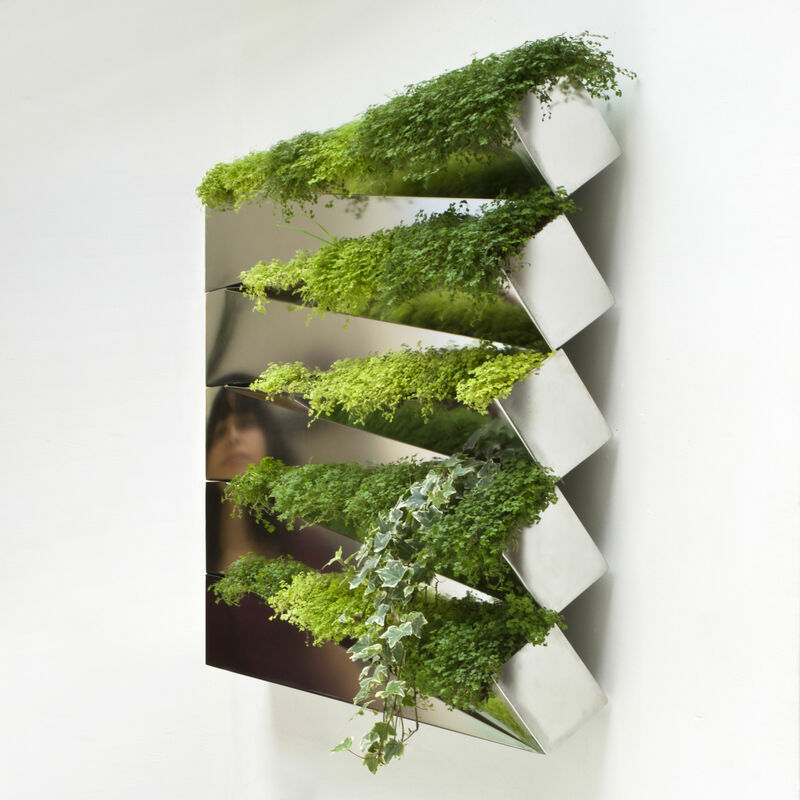 Entirely made of stainless steel, this beautiful interior wall planter is characterised by perfectly designed forms creating an optical distortion phenomenon through the geometric deformation of rectangle. The plants put in the deformation hole look much more abundant! 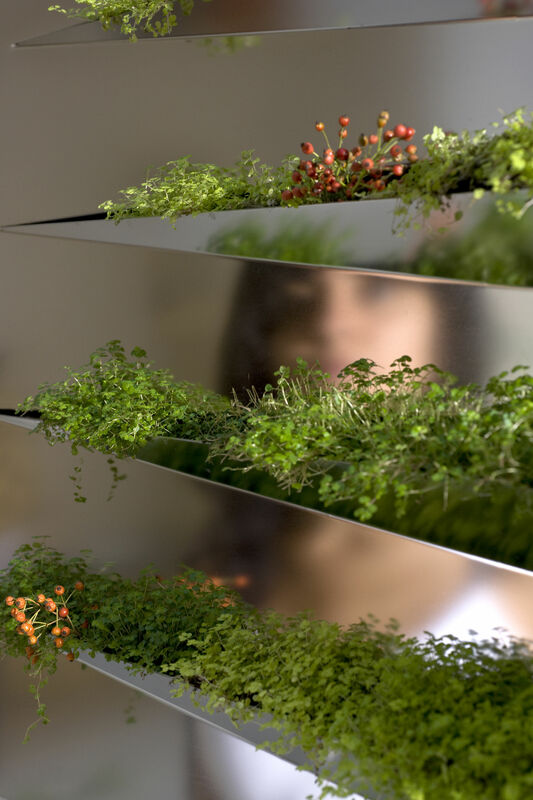 This ultra graphic and contemporary planter also provides an exceptional mirror effect! 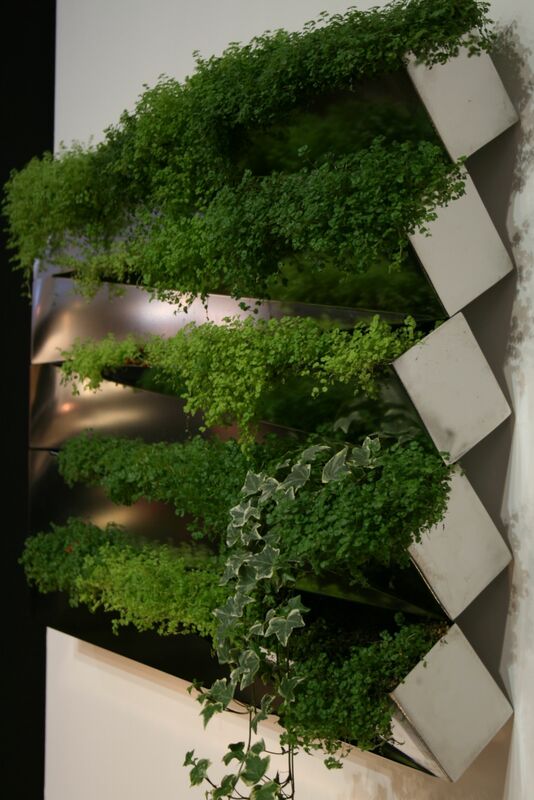 The plants form cascades falling down or towards the ceiling accompanied by the reflections of the planter wall like those water in a river would do. Miroir en Herbe is a fresh, evolutionary piece of work that creates a tableau vivant on walls. Interior plants, flowers, culinary herbs... So many options! Each planter (L 100 x D9 x H 11 cm) features a water collector for easy plant watering. Water will be spread on the entire surface. In order to avoid over-watering, it is recommended to put a drainage layer on the bottom (clay pellets, sand, pebbles...) before you place the soil and plants. The indicated price is for 1 planter. 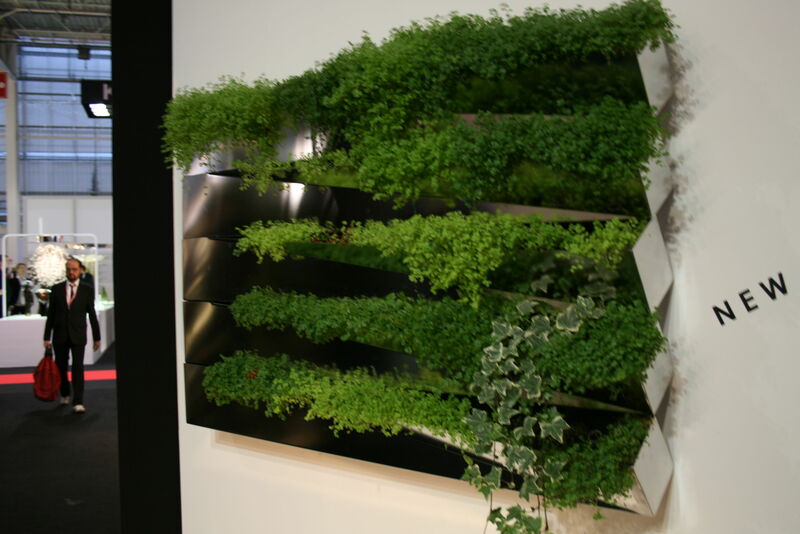 You may combine several planters vertically or horizontally to obtain a square of desired size.